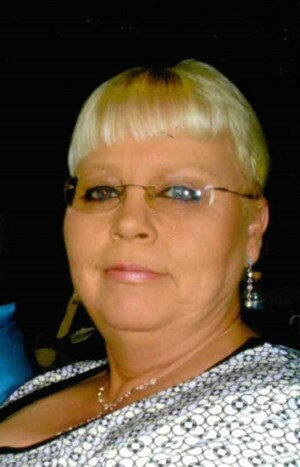 Obituary for Frances Yvone (Smoak) Collins | Thompson Funeral Home, Inc.
Mrs. Frances Yvone Smoak Collins, 63, of Rowesville passed away on Wednesday, March 27, 2019. A memorial service will be held at 2:00 P.M. on Sunday, March 31, 2019 at Thompson Funeral Home Chapel in Orangeburg. Mrs. Frances was born on May 22, 1955 in Orangeburg, S.C. She was the daughter of the late Augustus Pete Smoak and the late Rena Johnson Smoak. She was the first CNA when the Regional Medical Center Hospice was started. Frances was preceded in death by her brother, Don Smoak; a sister and brother-in-law, Carol and Frankie Rast and sisters-in-law, Christy Bull and Betty Collins. Survivors include her husband of 33 years, Danny Collins; her children; Kelly Myers Brower (William) of Orangeburg, Christel Myers (Kassidy Smith) of Orangeburg, Danny Herbert Collins, Jr. of Rowesville, Ashley Turner (Grant) of San Antonio, TX; step-daughter, Danielle Collins; sisters, Patsy Smoak, Miriam Smoak Spires (Bryan); brothers, David Ott (Sherry), Allen Ott (Sandy), Mark Ott (Wendy), Capers Bull; sister-in-law, Wanda Smoak; brother-in-law, David Collins and a number of nieces and nephews. The family would like to thank Grove Park Hospice, Debbie Hair, Carolyn Walling, Vicki Osborne, Felicia Scott, David Collins and everyone that has showed love and support during this time.